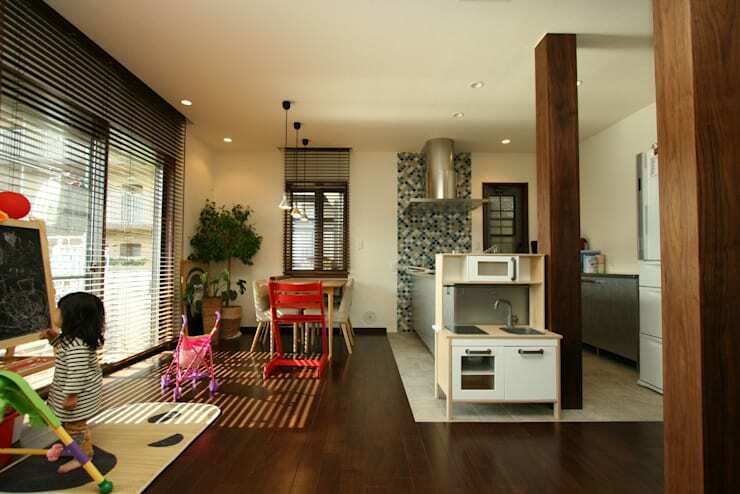 Today on homify, we'd like to share the amazing journey of a small, rundown Japanese apartment. At first, it didn't seem promising, but as soon as the good people of Happy Home Co. Ltd. stepped in, the place was completely transformed into something that is at once chic and cozy. If you want to get inspiration for your space, then read on and learn. As you can see, the apartment is small. 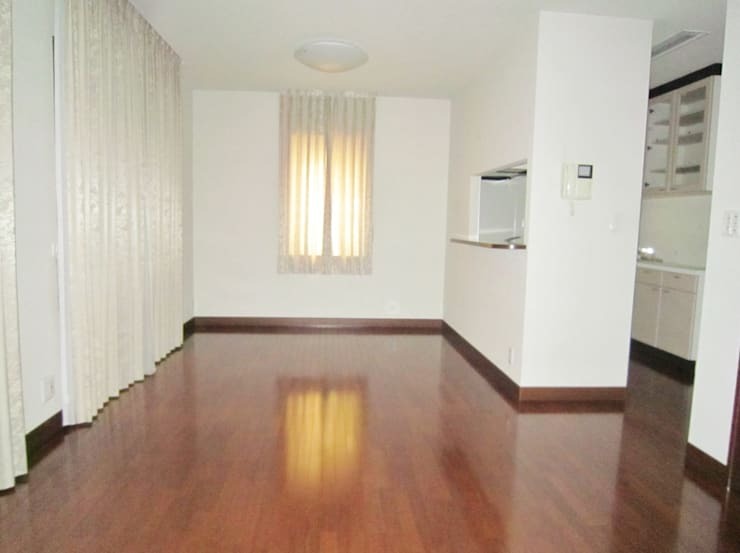 But in spite of its size, the bare white walls and wooden flooring provide plenty of potential. But then, there is that divider. Retaining it can mean lesser walking space considering that the dining area has to be crammed alongside the living area's couches and other necessary furnishings. Let's see how they dealt with this problem, shall we? When the designers stepped in, they noted the huge space that was being compromised by the kitchen divider. This time, they have a kitchen counter but it is separated by the neutral tiled floor that matches the counter and the cabinets, not to mention that wooden column that connects with the rest of the wooden flooring. We also noticed the cute children's kitchen set which blends with the palette of the entire kitchen. An interesting tile wall aligns with the counter and the latter's shade also spices up the place. 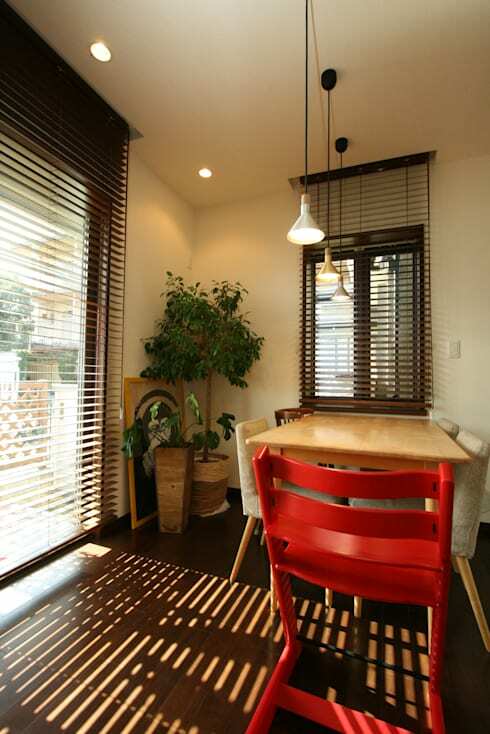 Compared to the white curtains earlier, blinds add an element of modernity to the room. Zooming in on the dining spot, one would notice the palette of white, beige, and browns contrasted by the pop of red from one of the chairs. We love how plants with different vases were placed on the otherwise bare corner and even that purposefully hidden art piece! 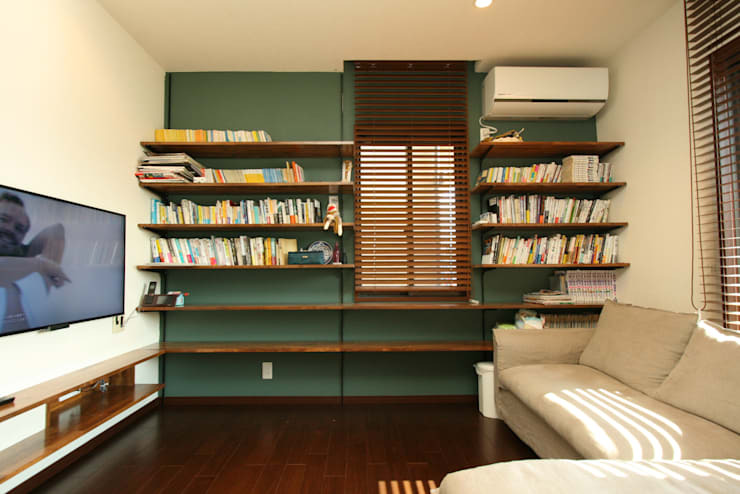 Wall-mounted shelves are useful for keeping books especially when you're saving on space. This one, interrupted by the brown blinds, reminds us of the horizontal lined architecture common in modern Japanese homes. The blue-green wall behind is also a nice break from the hints of off-white. In fact, the shelves somehow downplay the stand-out color. Finally, they also cleverly used a wall-mounted flatscreen, which is suitable for this type of small apartment. 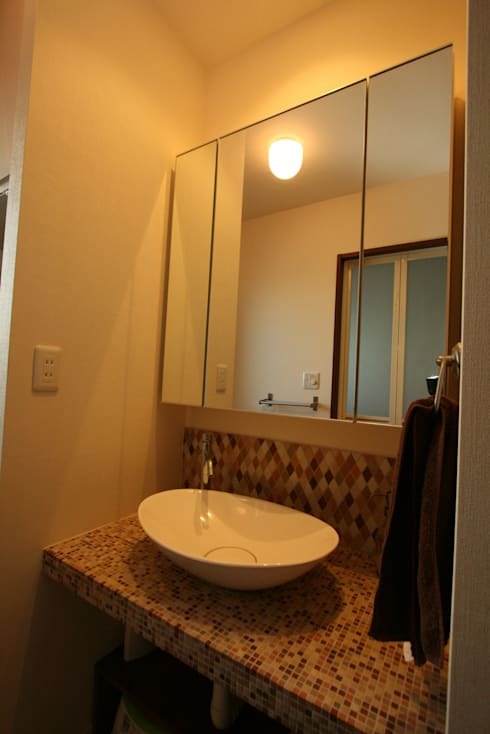 Here, yellow lighting was used and it complements the brownish palette of the tiles. Read all about the most common bathroom decorating mistakes to help you know more about giving that private space a makeover.